Reading and share top 18 Johnny Ramone famous quotes and sayings. 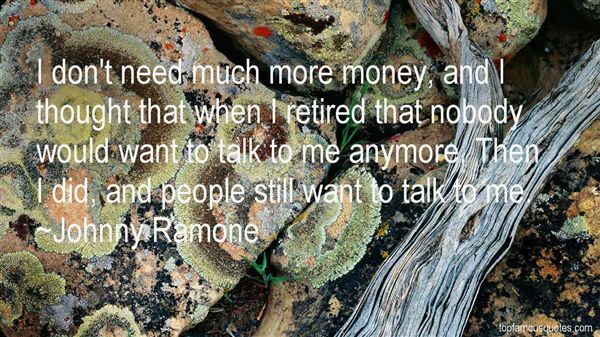 Browse top 18 most favorite famous quotes and sayings by Johnny Ramone. Odi et amo; quare fortasse requiris, nescio, sed fieri sentio et excrucior. (my translation: I hate and I love, you ask why I do this, I do not know, but I feel and I am tormented)"
What Did Johnny Ramone Talk About?